Union Power Minister R K Singh said that the Centre would also make it obligatory for project developers to manufacture storage system. NEW DELHI: The government, on a headlong dash to achieve its renewable energy generation targets, is now planning to make sure that all renewable project tenders have a 50 per cent manufacturing component. 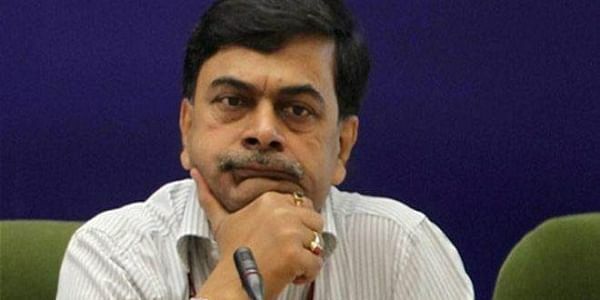 Speaking at an event here, Union Power Minister R K Singh said that the Centre would also make it obligatory for project developers to manufacture storage system. "We are going to come out with bigger bids, but our future bids will be tagged along with manufacturing. We will bid out capacity plus the commitment to manufacture (solar cells) up to 50 per cent of the capacity," he said. Along with that, the government will also begin floating tenders for power storage, and these will be added in a phased manner. "We are going to be one of the biggest markets of storage in the world. We will add storage to the bid gradually. There will also be an obligation to manufacture storage (system) up to a certain percentage. That is the growth trajectory we are targeting." Singh also reiterated that India is focused on adding 175 giga watt (GW) of renewable energy by 2022, with around 70 GW of renewable energy capacity already created. "We have pledged in 2015 that by 2030, 40 per cent of our installed capacity will come from renewables." Singh pointed out that if hydro electric projects are included, India has already crossed the 30 per cent mark with the addition of 45 GW of hydro power capacity. "... by 2030, about 53 or 55 per cent of installed power generation capacity will be renewables," Singh said. According to the government, around $42 billion in investment has come into the renewables sector over the last four years, achieved by facilitating the market. The government has also added around 7.5 million consumers till date.